A technician sprang into action, temporarily halting a Volvo excavator from its work on the I-4 Ultimate Improvement Project, where the machine had been playing its part in one of the country’s largest infrastructure initiatives. A leak in the coolant tank was discovered.It’s just this sort of scenario that has led Flagler Construction Equipment (Flagler) to work with Volvo CE’s Uptime Center in Shippensburg, Pa., and its ActiveCare Direct (ACD) machine monitoring service. The alert came in on a sunny Wednesday morning in Florida: 'Engine coolant critically low.' 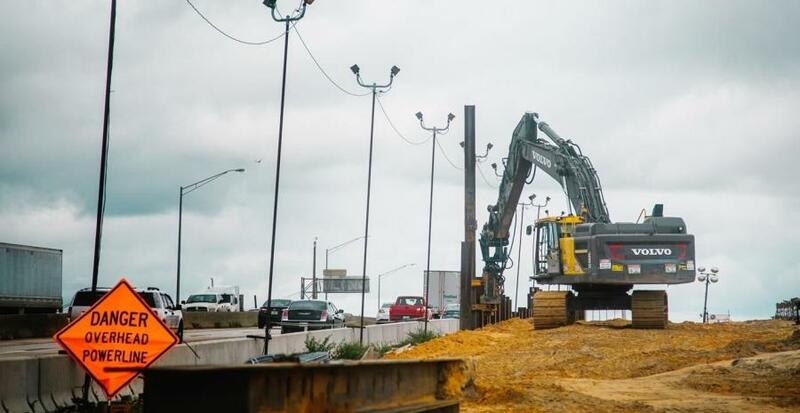 A technician sprang into action, temporarily halting a Volvo excavator from its work on the I-4 Ultimate Improvement Project, where the machine had been playing its part in one of the country's largest infrastructure initiatives. A leak in the coolant tank was discovered. The results of an incident like this can be catastrophic. An overheated block or blown gasket often spells the end for that machine's engine and a costly repair, not to mention downtime on the job site – machines standing still – which results in decreased efficiency and a delayed schedule. There is no room for such failures on the I-4 Ultimate project, a $2.3 billion reconstruction of a 21-mile stretch of Florida's Interstate 4, west of Kirkman Road in Orange County to east of State Road 434 in Seminole County, passing through the global theme park destination of Orlando along the way. Contractors are penalized for not completing work on budget and on schedule, so downtime would hit their profit margins on top of already costly machine repairs. It's just this sort of scenario that has led Flagler Construction Equipment (Flagler) to work with Volvo CE's Uptime Center in Shippensburg, Pa., and its ActiveCare Direct (ACD) machine monitoring service. ACD provides actionable alerts that keep the Tampa-based company's machines working hard on the I-4 Ultimate project all day, all year round. The Tampa-based company has placed around 70 Volvo excavators and rollers on the project, through both sales and rentals to SGL Constructors (SGL) — a joint venture comprised of Skanska, Granite and Lane — that is leading the project's construction. Monitoring the equipment in real time has contributed to keeping the I-4 project on track. For customers in North America, ACD uses Volvo's telematics system (CareTrack) to capture thousands of machine data points and send them, along with real-time machine alerts, to the Volvo CE Uptime Center's fully automated Case Management System in Shippensburg, where a team of data analysts and a proprietary system monitors and analyzes machine health in real time. This system immediately (24/7/365) informs the local dealer and customer with details of the alert and exactly what actions are necessary to address the issue before significant downtime or catastrophic failure occurs. With the Uptime Center actively monitoring customer fleets, it eliminates the time and resource investment needed for dealers and contractors to effectively utilize the sometimes-overwhelming volume of telematics information produced by today's machines. ACD also sends weekly or monthly reports to fleet managers, providing them with data on idle time, fuel usage, emissions and more. Customers gain improved uptime and enhanced productivity. Ball said that Flagler has set a goal of reducing its service trips per repair by 50 percent, and ACD is helping the company meet the benchmark. Currently, it has already driven down on-site visits for repairs and maintenance by 20 percent — a significant reduction that has already increased the company's return on investment, saving time and money in the process. And as more machines come online for the I-4 Ultimate project and more information enters the ACD system, the goal is to reduce overall downtime for the customer. For the I-4 Ultimate project, Volvo CE is sending Flagler repair alerts and fleet data for its work with SGL. Because the alerts include diagnostic information, Flagler is able to head out to the machine with repair parts in hand, saving valuable time to diagnose the issue and then retrieve replacement parts. Technicians can arrive on the site with both the information and components they need for a speedy fix. ACD is also helping maintain the fleet in other ways, as Ball explained. “We also monitor preventative maintenance contracts, so we can tell them when it's time to schedule an oil change, for example, often before they even know,” Ball said. And what happened to the machine that broke down on that sunny day in Florida? Exactly what is meant to happen when ACD is involved. The leak was quickly repaired before any damage was done and work on the I-4 continued, putting the project a step closer to completing needed improvements to deliver a safer interstate for the residents and visitors of Florida.